﻿ Best Price on Centr'Hotel in Saint Martin + Reviews! Amid the Marigot Bay and the Simpson Bay Lagoon, Centr’Hotel is 12 minutes’ drive from Princes Juliana International Airport and 600 metres from the harbour station. 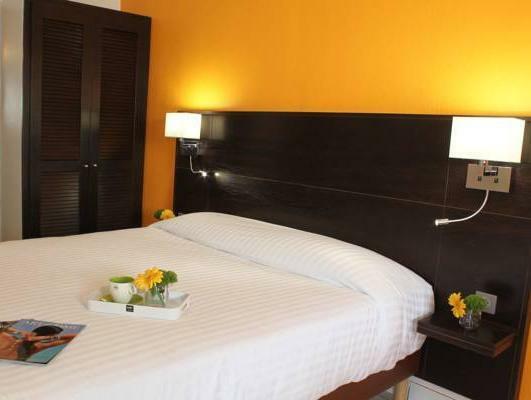 All rooms are air conditioned and feature cable TV. The bathrooms are private and have a shower. A hairdryer may be available upon request. The hotel has an on-site bar, and within 2 km guests will find other food options. Centr’Hotel’s facilities also have sun terraces, family rooms and a tour desk to help guests with their sightseeing plans. If guests at Centr’Hotel feel like golfing, the Mullet Bay Golf Course is 15 minutes’ drive away. Please note that you can not check in outside reception opening hours from 08:00 to 20:00 hours.